June is a magical month where strawberries start to appear at the farmers market and you are still lucky enough to snag some rhubarb. Everyone knows that strawberry and rhubarb are perfect mates. 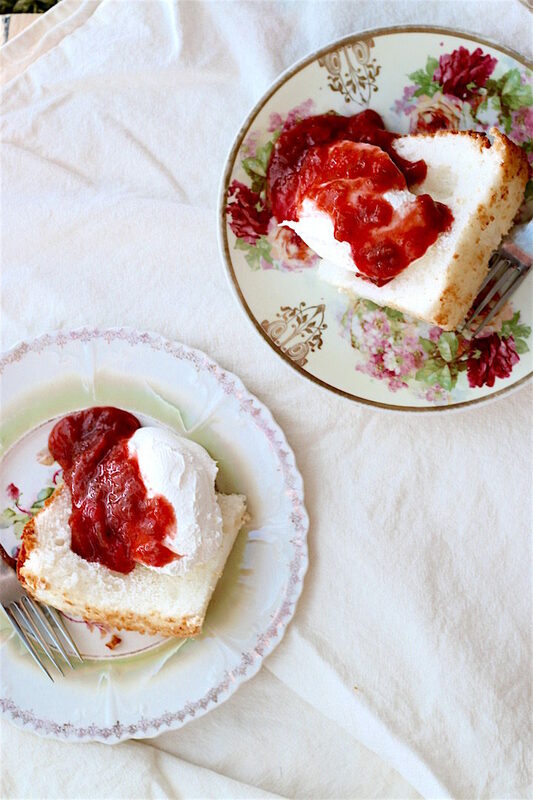 Strawberry Rhubarb Compote is an easy way to enjoy these two. Strawberry Rhubarb Compote can be served as a great topper for desserts, like I did here, but it also would be great stirred into some yogurt, oatmeal or spread on an English muffin or waffle for breakfast. 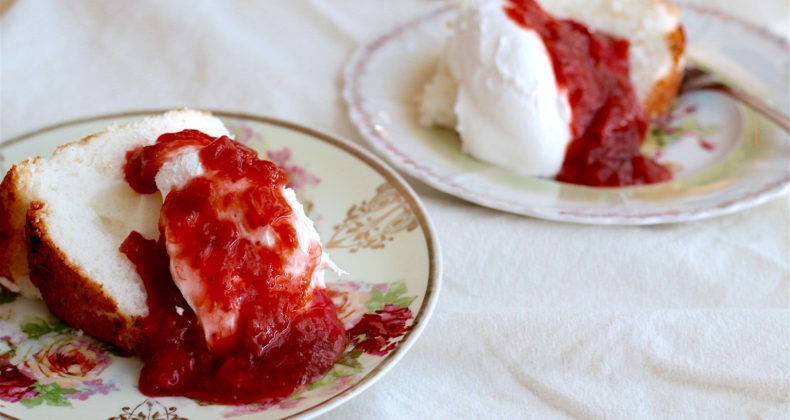 If you feeling really indulgent you can top off your ice cream with a dollop or two of compote and you will be in heaven. You can keep it sealed in a jar in the fridge for weeks so make sure you enjoy it at every meal. Hot or cold, for breakfast or dessert, it looks like you win in all cases.